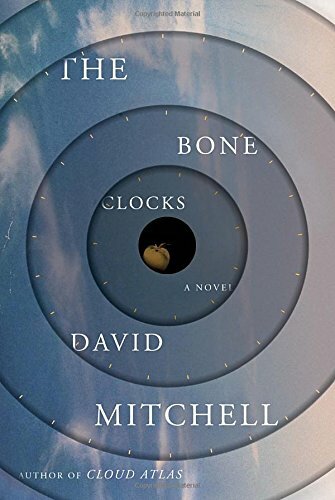 David Mitchell's brilliant new novel, The Bone Clocks, spans roughly sixty years, half of them spent (1984 to the present), half not (the present to 2043). Sure, its characters—many of them the heirs or exploiters or prey of a secret loophole in mortality—strain that timeline. And, thanks to their incredibly long memories, centuries lapse in the course of their flashbacks. Then again, The Bone Clocks's chronological glitches are nothing compared to its prodigal geography. Its characters hurtle unimpeded between the known continents. As well as past them. They visit, specifically, secret principalities—realms that exist alongside the world as we know it and in which two clans of "atemporals" (beings able to put off death) are at war, most pointedly over the worth of "temporal" lives. The nobler clan, Horology, has been granted their approximate immortality unbidden (by what deity or accident they don't know). The Anchorites, conversely, wrest deathlessness to themselves. When the tribes clash, though, their ferocity impinges upon and smudges ordinary mortals' ongoing stories. So the atemporals do work together to do one thing. They conspire to smuggle the paranormal into an otherwise realistic fiction. Standing behind them, of course, is Mitchell, who, as his fans already know, has an uncanny knack for at once perfecting and flouting the rules of genre. This knack shows up even in the tiniest details of The Bone Clocks. Take the pastoral lyricism that Mitchell infuses with technological jargon, describing "brand-new leaves ooz[ing] unbundling from swollen buds and a wood …. Bluetoothed with birdsong." On a larger scale, meanwhile, one section of this novel begins by standing exquisitely in line with a shelf's worth of other Oxbridge bildungsromans only so that Mitchell can marry it to fantasy.